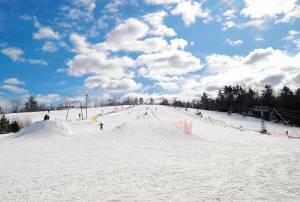 Shrewsbury, MA – An 18-year-old Massachusetts boy died Wednesday night after he suffered a reported seizure and fell from a chairlift at Ski Ward in Shrewsbury. John “Jack” Street of Upton, a high school senior on Nipmuc Regional High School ski team, was at Ski Ward at approximately 6:45 p.m. Wednesday evening practicing for a race scheduled for today when he fell an estimated 30 feet from the chairlift. He was found unconscious and face down beneath the chairlift. Street was transported to the UMASS Memorial Medical Center in Worcester, where he was pronounced dead. Today’s ski meet has been canceled as a result of the accident. An autopsy is planned to determine the cause of death. Street is the second young ski racer to die in a fall from a chairlift in the U.S. this winter. Last month, a 7-year-old California boy died in a fall from a chairlift at Sugar Bowl near Lake Tahoe.